Zinc plating is used on small parts such as fasteners, crank handles, springs and other hardware items rather than sheet metal that will be exposed in interior or mildly corrosive conditions. The zinc is applied as an expendable electrode in a cyanide, alkaline non-cyanide, oracid chlorides alt solution. 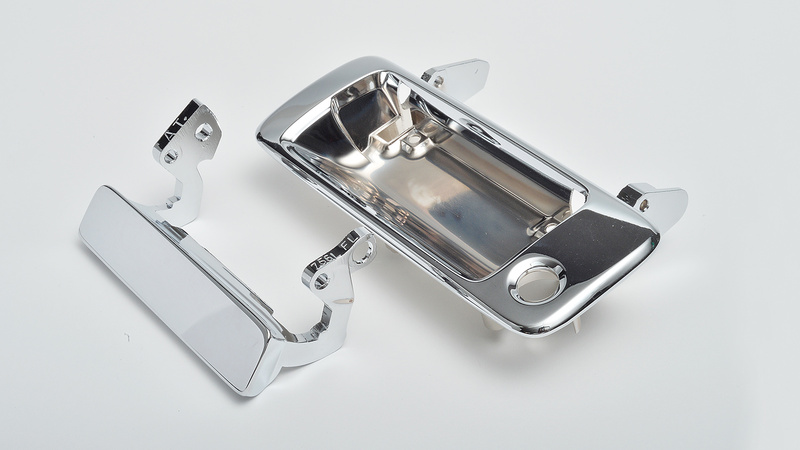 The normal zinc-plated coating is dull gray in color with a mattefinish, although whiter, more lustrous coatings can be produced, depending on the processor agents added to the plating bathor through post-treatments. The coating is thin, ranging up to 1 mil (25 μm), restricting zinc-plated parts to very mild (indoor) exposures. ASTM Specification B 633 lists four classes of zinc plating, coating thickness in microns (μm): Fe/Zn 5, Fe/Zn 8, Fe/Zn 12 and Fe/Zn 25. Clear Zinc or Blue Clear, Yellow, Green Olive and Black.